I have been with In Good Taste Catering & Events by Stacey for almost a year. I feel like I’ve learned a lot coming from the nonprofit realm into the for profit side. Since I had always been the one hiring the caterer I feel like I had a different perspective when I came on working with Stacey. I could understand being the client and being the business representative. I thought I knew already what catering would be like but I was wrong. Catering is hard work! Starting with recruiting the client, to discussing menu options, trying to figure out what sort of budget we are working with, and preparing for the actual day. I ran across a number of clients who flat out don’t want to tell me their budget because they want to see what price I’ll give them. I can understand wanting the best deal but it really makes a difference to share the budget if you have one. When Stacey creates an unique menu for each client the budget tells us if we can serve them a Skirt Steak or Filet Mignon (Tenderloin). The more specific a client can be the easier the process of getting them what they want. Preparing for the day isn’t only ordering the food but it’s calculating how much food and beverage we will need for the number of guests. Stacey and her team work tirelessly in the creation and preparation of the food, sometimes into the late night hours. 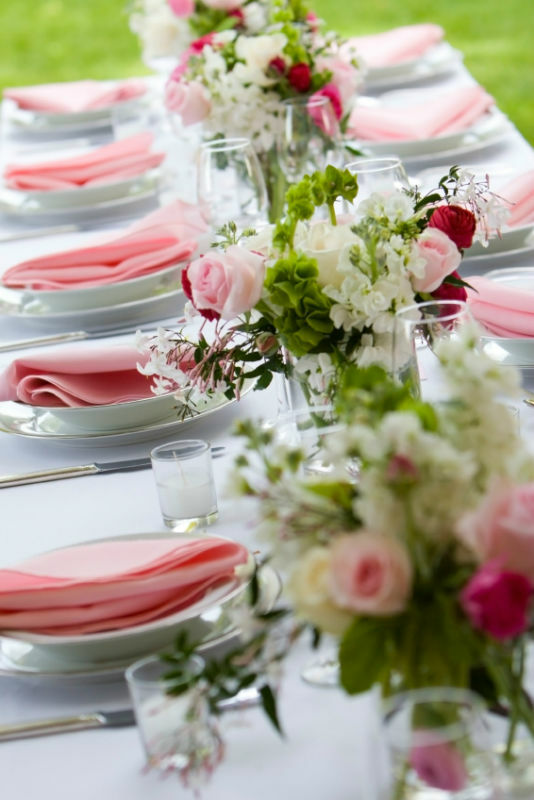 Her design team is thinking weeks out about how we can decorate your buffet table and what flowers to order to make the table even more beautiful. They decide which colors go with the linens and what will last in the environment that the event will be in. The day of the event is when the staff is packing the truck with all of the food and décor items. Once we arrive at the event, Stacey’s team is great at organizing all of the supplies so the prepping and decorating go smoothly. We try and think about the whole process from A to Z beforehand so the host is stress free and guests are very impressed. So the next time you hire us, remember that this is Stacey’s passion in life and she’s been blessed to have a great team around her to elevate her success over the years. We are here to make your event unforgettable!